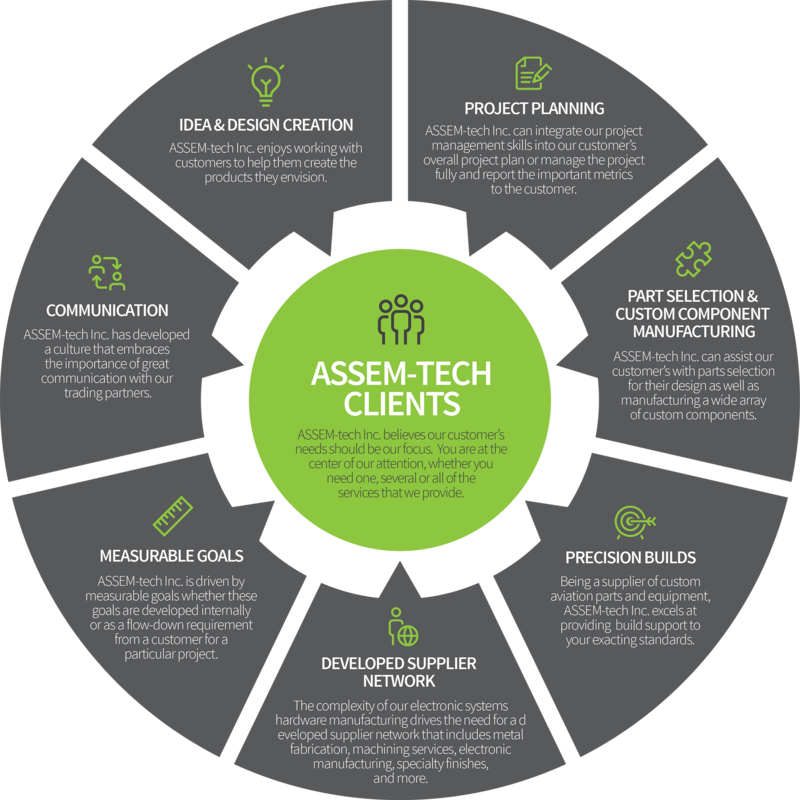 ASSEM-tech provides manufacturing and integrated assembly. We can design, manufacture, build and assemble everything onsite, offering full control of the entire process from start to finish. We are committed to creating quality products regardless of the size and scope, offering layered capacity so you can select one, many, or all of our available processes to meet your needs. We serve a wide range of industries and have created custom solutions including electrical systems and sub-systems, wire harnesses, cable assemblies (flat and round), electro-mechanical assemblies, black box assemblies, molded products, potted products, fabricated sheet metal, and machined enclosures. We utilize a rigorous build and assembly process designed for fast turn-around without compromising internal/external quality expectations, with each component treated to a rigorous inspection process. And with our versatile set of tools, integrated assembly, and dedicated staff, we can adapt to your needs and work with you to create the custom piece your project requires, delivered on time and within budget. With access to a network of clients, suppliers, services, and outside resources, we can bring a dynamic team to the table for your project.